STREB-SEA presented its “Singular Extreme Actions” at the OZ Arts center for two days (January 27 & 28, 2018) of Sensational Engaging Art. Music City, USA has never seen anything like this. SEA is a bold blend of art, dance, hardware, humans and music. Although there is a structure to SEA the show has the flexibility to fit in a myriad of traditional and alternative performance spaces with Action Events mixed and matched to suit a specific audience and/or venue. STREB SEA squeezed in a lot of action over two acts. 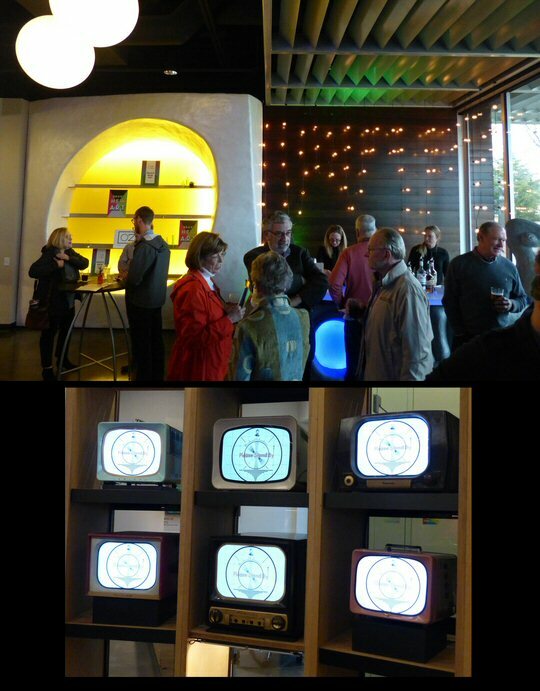 OZ Arts is a unique complex with art both inside and outside the venue. A case of humidors and pipes are on display there to honor the Ozgener family who are the founders of this unique arts center which is only a few miles from downtown Nashville. The main event room can be configured for a variety of uses. On Saturday, January 27th it was ready for SEA. Comfortable, GA stadium seating provided a clear view for all of the stage that was filled with apparatus. Green mats were set-up on the edge of the stage where children sat to experience SEA up-close. Before the show a number of the Action Heroes all clad in red for the occasion were warming-up as one of them wrote on a blackboard encouraging the audience to get loud. After a few announcements the performance began. The muscular Action Heroes were well versed in a number of disciplines including dance, circus, gymnastics and stunt work. In celebration of the 100-year anniversary of flight the troupe presented “AIR” which was a mix of well-timed flips, jumps, twists and what appeared to be painful body slams onto mats on the side of the Olympic trampoline they were utilizing. Next, the stage crew quickly shifted a few things for the Action Heroes to examine gravity and form on a “TILT”ed 8-foot square. Singular Extreme Actions was for the most part dangerous and daring. “SQUIRM” was a humorous homage to Harry Houdini. Eight dancers stacked themselves on top of each other in a tight, plexi-glass box as a ninth performer snaked his way through them to enter and escape the claustrophobia confines. The Action Heroes needed nerves of “STEEL” to skirt a heavy moving I-beam. Timing was key in this stunt. The first half of SEA conclude with “SLAM” where the dancers confronted a vertical wall. The second half built on the excitement of the first with the high speed of “QUAKE”, “LITTLE EASE” a big test of flexibility and “FALLING.” “ROCK” and “SILVER” were breathtaking tests of balance, grace and strength on moving apparatus where again perfect coordination and timing were essential. SEA kept us on the edge of our seats with a show that was Sensational Engaging Art. 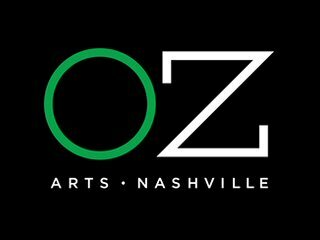 “OZ Arts is an inspiring destination for world-class, innovative contemporary art experiences.” This non-profit organization supports both visual art in addition to unique live performances such as STREB-SEA. OZ Arts was launched by the Ozgener family who formerly ran a well-respected cigar company in Nashville that was also recognized for humidors and Meerschaum pipes. When the Ozgeners sold their business they converted their former headquarters into OZ Arts a modern performance and installation space that can also be used for special events and exclusive performances which now includes SEA. Prior to the performance we took refuge from the rain inside OZ Arts Nashville.